What if you could bask in the glory of the Aurora Borealis in a way that is tailored, especially for you? The spectacular display of the Northern Lights that have captured the hearts and made its way into the wish-list of many around the world can now be a highly bespoke experience, catering to various interests and personalities. 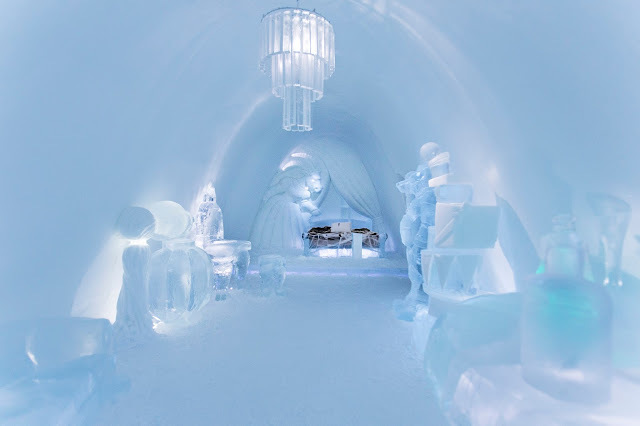 Curated by Off the Map Travel, the UK-based travel specialist has been helping travelers check off this Arctic journey from their bucket list since 2011. What sets Off the Map Travel apart from the rest is their unwavering forte in creating unique, soft-adventure travel experience surrounding the stunning Northern Lights, all done via Bjorkliden, Sweden – an authentic and stunning destination from which to capture the stunning spectacle of the Northern Lights. "It was an excellent trip overall and we managed to tick a few items off the bucket list. I especially enjoyed the full arctic day of ice-fishing and snow mobile experience. 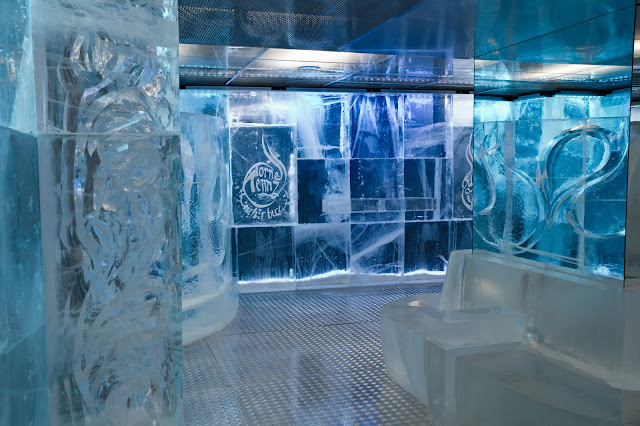 The Ice Hotel visit was great too. Off the Map Travel is very responsive and all arrangements were made in good order.” said Lu Ting Ting, Off The Map Travel customer who travelled to Bjrokliden, Narvik and Tromso in March 2015. With an ever-increasing demand for Northern Lights holidays, Off the Map Travel’s experts have worked closely with some of the world’s best Aurora tourism destinations to create a range of new opportunities to allow travelers to experience the greatest light show on earth. Some of the new bespoke adventures take root in Bjorkliden, Sweden, one of the world’s best kept secrets when it comes to a Northern Lights travel. Dubbed one of Europe’s last true wilderness, the Bjorkliden region is transformed in the winter into a snow covered wonderland, a key highlight for the Arctic region. The surrounding mountains create a weather shadow which delivers clearer skies than other areas of the Lapland, making it a perfect spot for the Northern Lights. “It was seeing the Northern Lights in Swedish Lapland that first captured my imagination about the Aurora, and we have now made it our mission to work with amazing destinations and help create the best possible opportunities for guests to experience the Northern Lights. 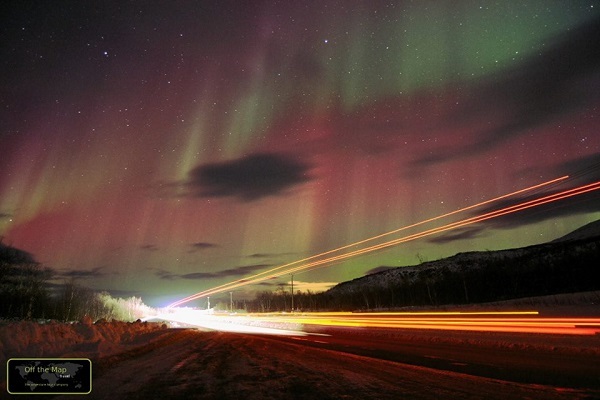 Unlike others, we not only test out every place and experience we offer guests, but also work closely with them to continually develop and improve what they offer to give our guests the best possible Northern Lights holiday.” adds Jonny Cooper, Director of Off the Map Travel and Northern Lights travel expert. 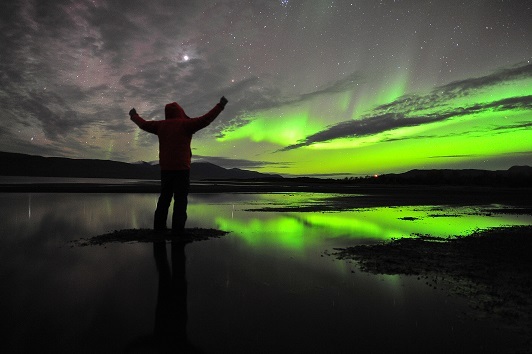 What: Aurora experts from around the globe are being gathered to celebrate and share their knowledge about the Aurora with enthusiasts from a scientific, historic and mythological standpoint. Thought to be the world’s first Aurora Festival, guests will get hands on with experiments; learn how experts predict Aurora displays; learn from locals about how the Aurora has shaped the culture in the Arctic; and experience the Aurora through a variety of Arctic activities. A three day two night The Aurora Festival itinerary in Bijorkliden, Northern Sweden, with Off the Map Travel costs from £899 (Approx. SGD$1950); excluding flights. This includes full board accommodation in four star accommodation; a welcome (invite only) reception, expert talks throughout the weekend with world class speakers; an excursion to Sweden’s highest mountain lodge; an expert aurora photography course; an arctic experience and Sami experience at the Aurora Village. Additional nights and activities can be added. What: The Aurora Village is made up of a collection of three traditional Swedish ice-fishing huts that are placed on the banks of a remote frozen lake during the winter months in the mountains surrounding the world famous Northern Lights region of Bjorkliden and Abisko. 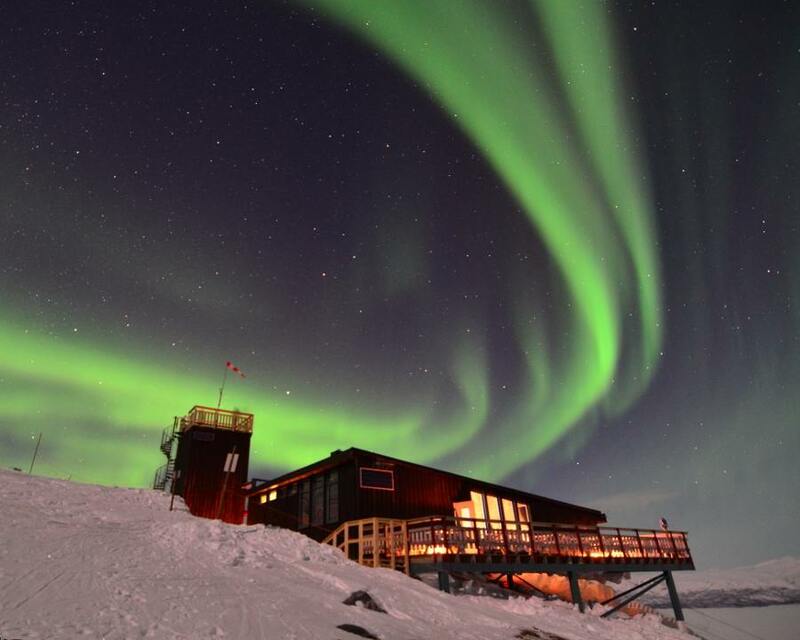 The huts, which are traditionally used by ice-fisherman in the region during the Arctic Winter, have uninterrupted 180° views of the greatest light show on earth and make a great base from which your guide can cook Arctic bush delicacies. A four-night trip to Bjorkliden and Abisko in northern Sweden costs from £1,399 (Approx. SGD $3030) per person on a full-board basis with accommodation for three nights in a four-star hotel and one night in the Aurora Village on a frozen lake with 180-degree uninterrupted views. 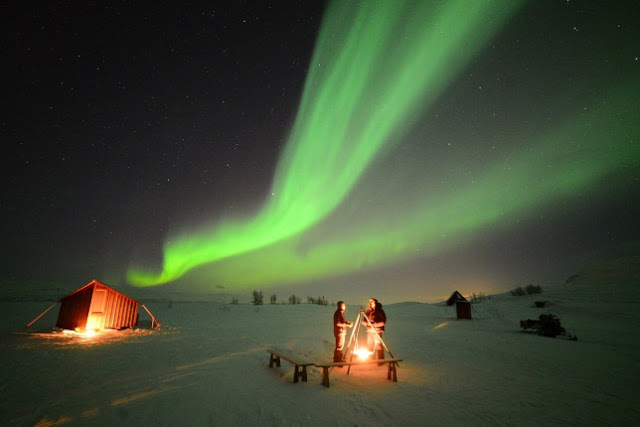 Price includes a Lights Over Lapland photography trip, dogsledding and snowmobiling for two adults; flights excluded. 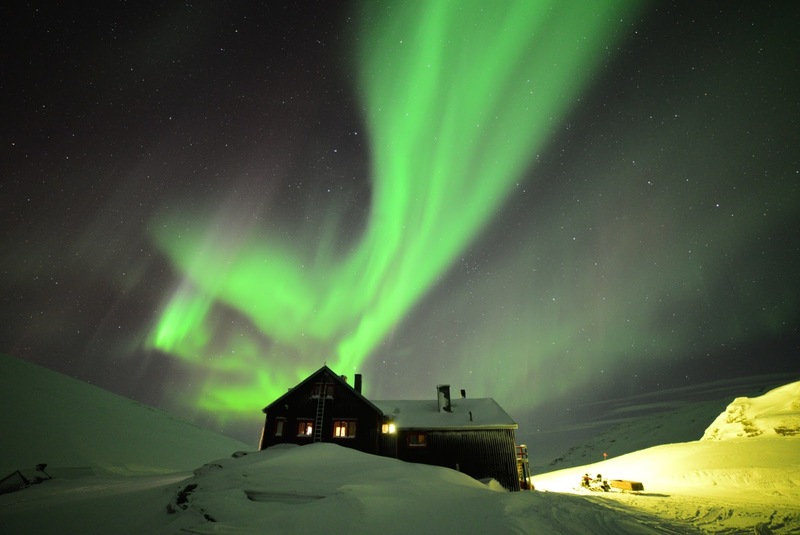 What: This is the ultimate Aurora adventure taking guests on an epic chase of the Northern Lights across Scandinavia visiting world famous Aurora spotting destinations across Norway, Sweden and Finland. 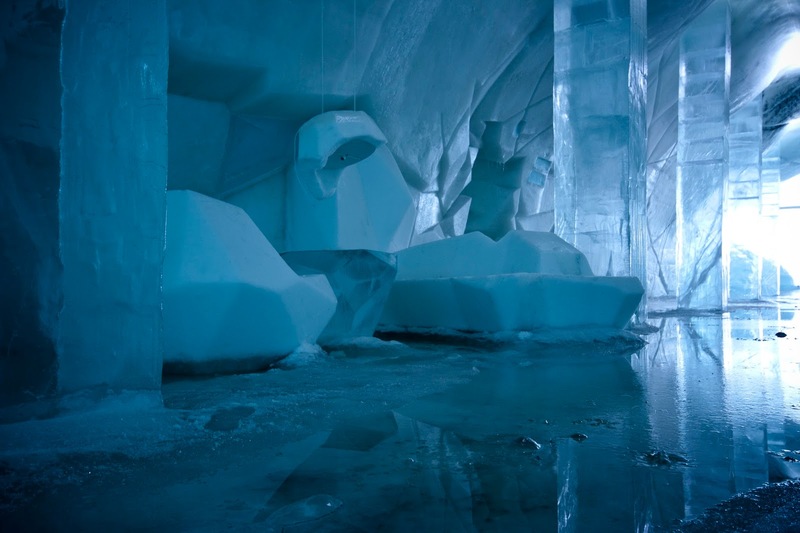 Guests will have the chance to do everything from reindeer and dog sledding; snowmobiling; visiting the ICEHOTEL; to the chance to learn Aurora photography with a world renowned photographer on their way. 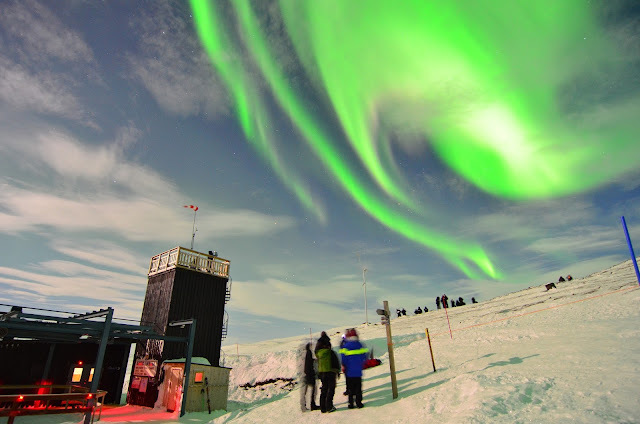 A ten night small group guided Original Grand Aurora tour with Off the Map Travel costs £5999 (Approx.SGD$13,000) per person not including flights based on 2 sharing. The Grand Aurora includes an expert guide, accommodation on a half board basis, reindeer sledding, a Tromso guided city walk, Northern Lights dinner cruise, an Arctic experience, Alaska trapper dogsledding tour, Lights Over Lapland Aurora and photography evening, Aurora Sky Station exclusive dinner trip, a visit to the ICEHOTEL, a three border point snowmobile trip, Northern Lights tour in a snowmobile-pulled sled and a reindeer and culture tour as well as lots of exclusive extras such as meals in fantastic restaurants and fika stops on travel days. 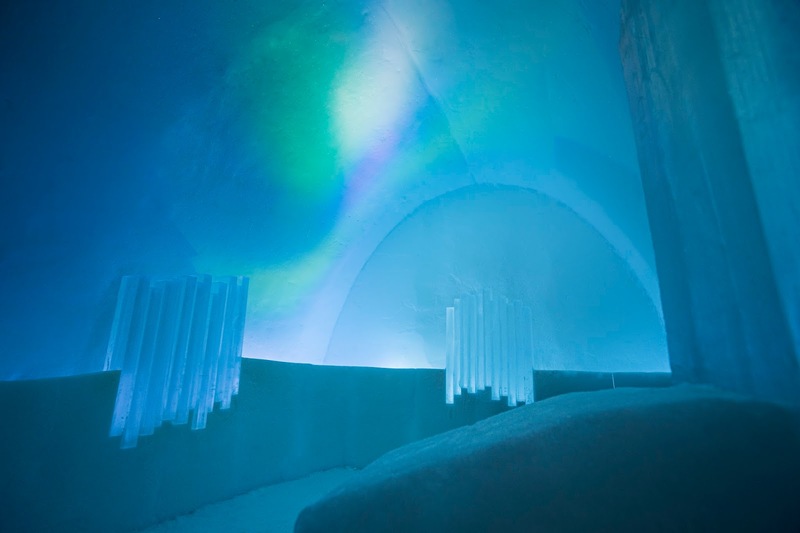 What: The Moonlight Aurora experience was created by Aurora travel experts to give guests an alternative experience in hunting the Northern Lights – under an Arctic full moon. Contrary to popular belief, many Aurora experts from leading guides to world class photographers, believe that the full-moon enhances the Northern Lights rather than detracting from it. The Moonlight Aurora experience is designed to also give guests the chance to enjoy a range of Arctic winter activities under the full-moon whist having the best possible chance of experiencing the Northern Lights. 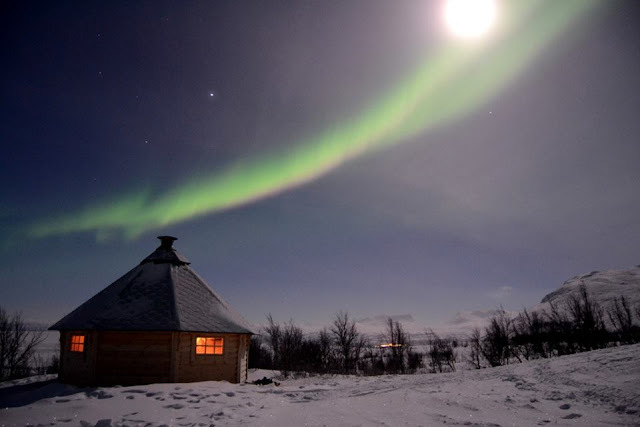 A four night Moonlight Aurora adventure to Bjorkliden and Abisko in Northern Sweden with Off the Map Travel (www.offthemaptravel.co.uk) costs from £1749 (Approx. SGD$ 3800) per person, excluding flights, based on two sharing. This includes transfers, four nights in a spectacular 4 star hotel on a full board basis, a private specialist guide, a visit to the ICEHOTEL, private Lights over Lapland moonlight photography tour, dog sledding as the moon rises, visit to the Aurora Sky Station, Snowmobile tour, guided moonlit snowshoe walk, Norway fjord trip and Ice fishing and cooking under the moon. Off the Map Travel is a soft adventure travel agency and Northern Lights expert that works with experiences and destinations that allow people to explore hidden wonders of our planet. 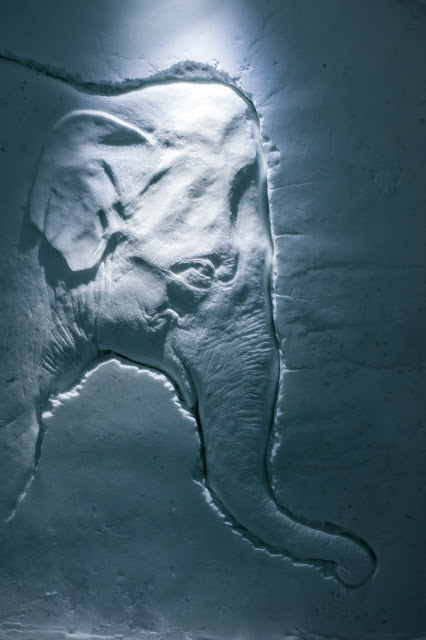 They create tailor-made holiday itineraries.